In the first part of this series of posts I brought some examples of a few recent significant gold finds to your attention. In the next few posts I’ll discuss some issues that may help you understand how you yourself might make a find like one of these. First, let me say here and now that luck is over rated when it comes to mining (or treasure hunting ) endeavors. Sometimes way over rated. No, my friend, it surely doesn’t hurt to have Lady Luck on your side. At the same time, however, you should understand that most successful miners and the rich recoveries they make are not due to luck, but instead are due to thorough research, accumulated knowledge and experience, plain old hard work, and the “3 Ps:” patience, persistence, and perseverance. These positive attributes can sometimes be more effective (and profitable) than all the fancy mining gear in the world, as can readily be seen in the case of the Mexican miner who found the million-and-a-half dollar “Boot of Cortez” nugget . 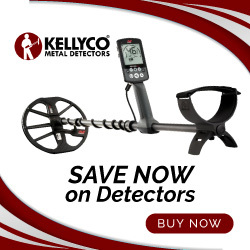 Remember, his spectacular find was made with a cheap-o Radio Shack metal detector that most of us this side of the Border would just laugh at or make jokes about. On the flip side, Jim S. probably would never have found that 9-troy pound nugget outside Nevada City, California without the use of ground-penetrating radar , good metal detectors , and heavy equipment. Sometimes having good gear helps, sometimes it may not be necessary at all. What both of these gentlemen shared in common was this, however: they did their research, used their knowledge appropriately, and in the case of our Mexican mining “pard,” persisted despite all sorts of hardships and disappointments along the way. Jim S. knew the area’s mining history before he purchased his property and a crucial lead he turned was the fact that when the oldtimers came through the area, they only “skimmed” the surface (a common practice in the “Days of ’49,” by the way) and never really dug down to bedrock where that 9-pound nugget had lain untouched for millennia. So sure, it helps to be lucky. Just as some people do win the lottery and walk away multi-millionaires. All I am saying here is you shouldn’t depend on luck alone to bring a rich gold find your way. Like it or not, most of us have to earn what we gain the hard way. I don’t know about you but I wasn’t raised with a silver spoon in my mouth or nursed along with Mommy or Daddy’s trust fund. So do your research, work hard, and above all….don’t give up. There’s more to come in this series of posts. So stay tuned and good luck to one and all. 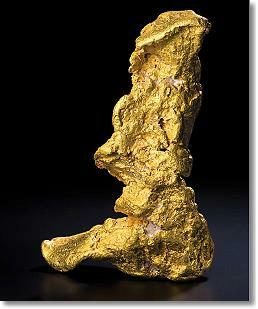 If you liked this post, you may want to read: “Rich Gold Finds Are Still Out There (Part 1)"